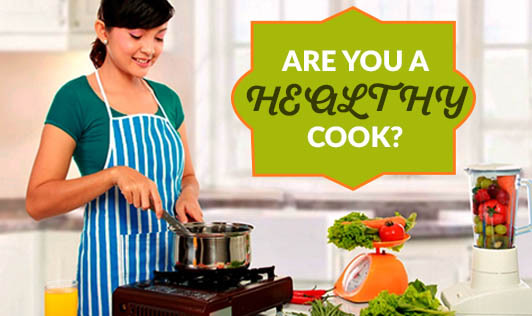 Are you a healthy cook? Eating out is considered unhealthy, but did you know cooking at home can be unhealthy too? Here are 4 common mistakes you do while cooking at home. Do you have a mindless habit of munching on foods from your fridge and cupboard while cooking? • Using different cooking methods like microwave cooking, grilling, roasting, braising, steaming etc. Awareness keeps you conscious and healthy. So, now that you are aware, make a conscious effort to avoid these mistakes to keep yourself fit and healthy.